Yesterday I treated myself to a day in the studio. 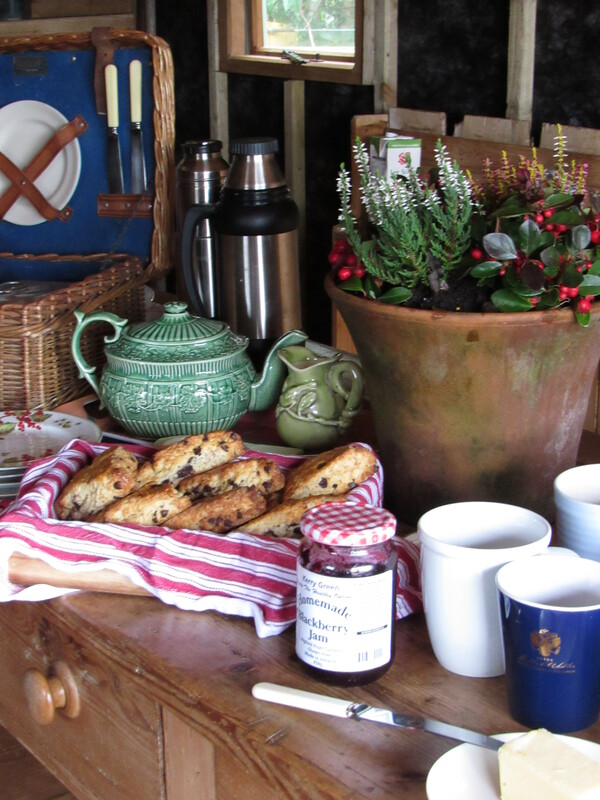 There was a fire in the woodstove and a tea kettle whistling on top of it….the makings of a good day. I spent the first part of the morning cleaning and organizing supplies, labeling baskets that contain ‘needful things’ and making a list of unfinished projects. There seems to be enough on the list to carry me through the winter without starting anything new. Not starting any new projects? That won’t happen. I did finish an elf I was working on. Well, maybe he’s finished. I may still add a little more embroidery, a bell, and a burlap sack to hold. 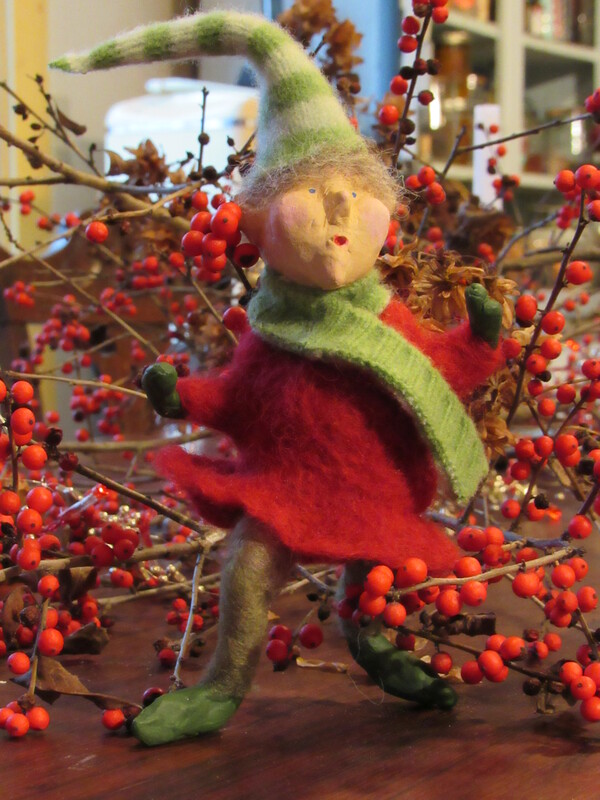 The body of the elf is paper mache and his clothes are felted wool. Mr. Elf has been brought inside and will sit on the dining table along with some berries and greenery to help him feel at home. Now, should I start another elf or pull something to complete from the ‘to do’ list? Hmmm. Home now from my trip away, though Ireland is still very fresh in my mind. The good friends I have made, the rolling green pastures, and the snow capped mountains are all still very present. 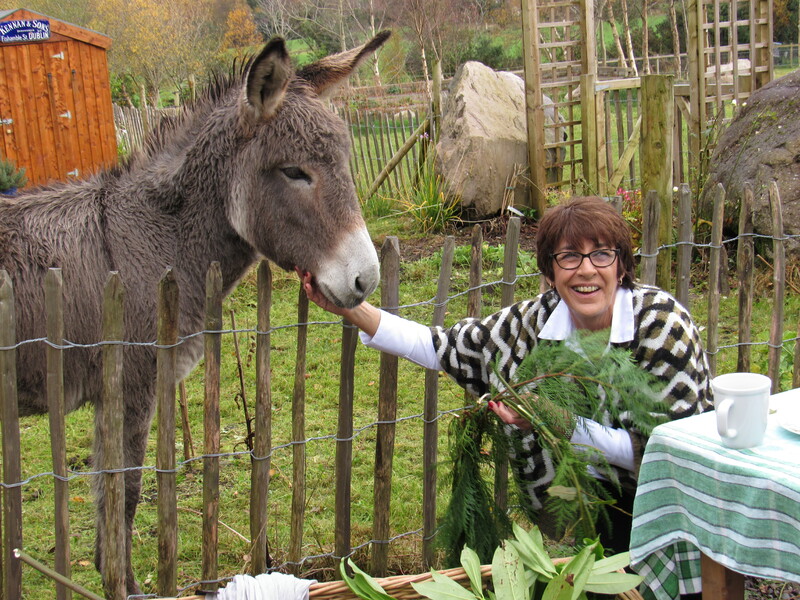 Then, of course, there’s my time with donkeys, enough tea to float a 25-pound turkey (today is Thanksgiving! 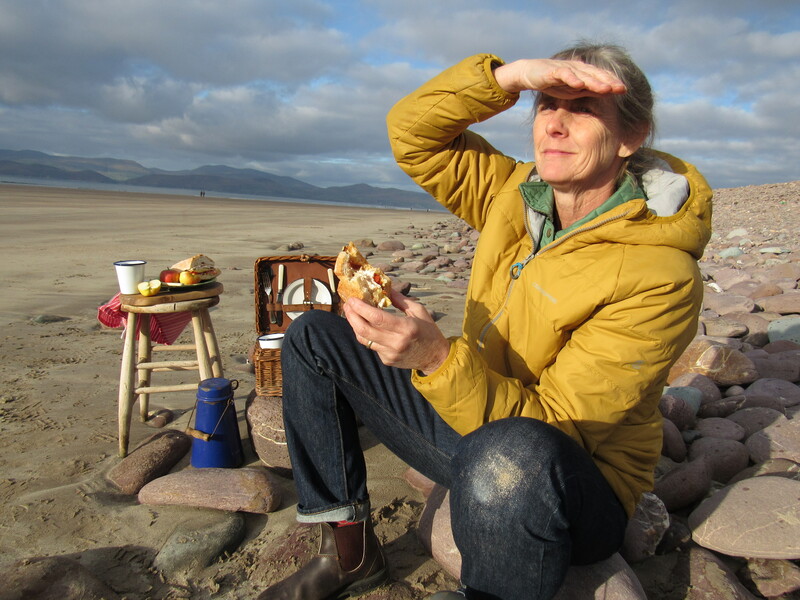 ), and the great fun I have with Sally traipsing through farms and cow pastures, through gorse and over stone walls, like two wild children who have escaped school for the day. If we were children, I am certain we’d have a secret hideout built with found objects and discarded lumber, a place to tie our ponies and go off exploring the fields and woods, looking for treasures. 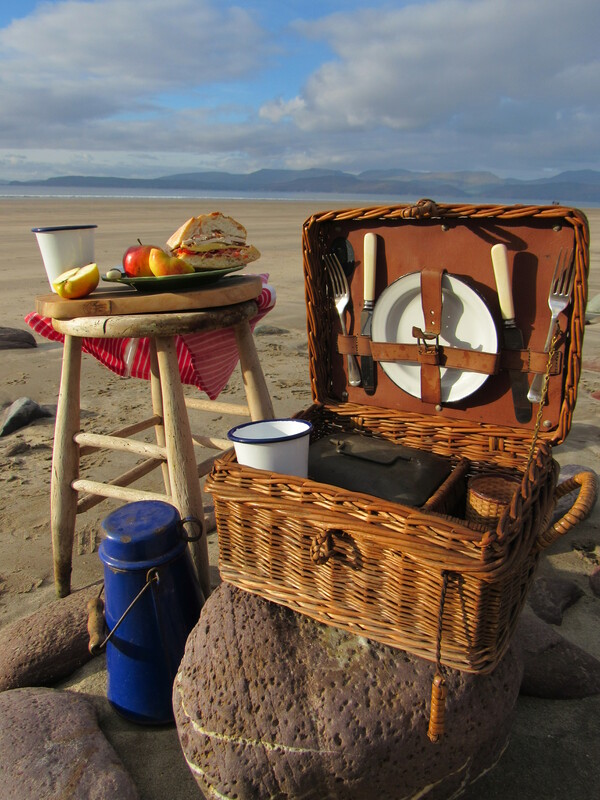 Of course, we’d have a picnic basket full of goodies, just like the one we never leave without, to keep us well fed while ‘adventuring’. When we are together, my friend and I, although we are mid-life in age, we revert to our Huckleberry Finn/ Pippy Longstocking personalities. I’m so glad for that. Now home and as I settle back into my familiar stomping grounds, I will join with loved ones to celebrate Thanksgiving. Family and friends will gather for a meal, some will come in from a long morning of hunting ready to fill their bellies with stuffing and cranberry sauce, others will have enjoyed a lazy morning preparing a side dish to bring over. I hope they stayed in their P.J’s while stirring pots. The house will be full of chatter, laughter, and hugs. I’ll be glad to be home. I am glad to be home. 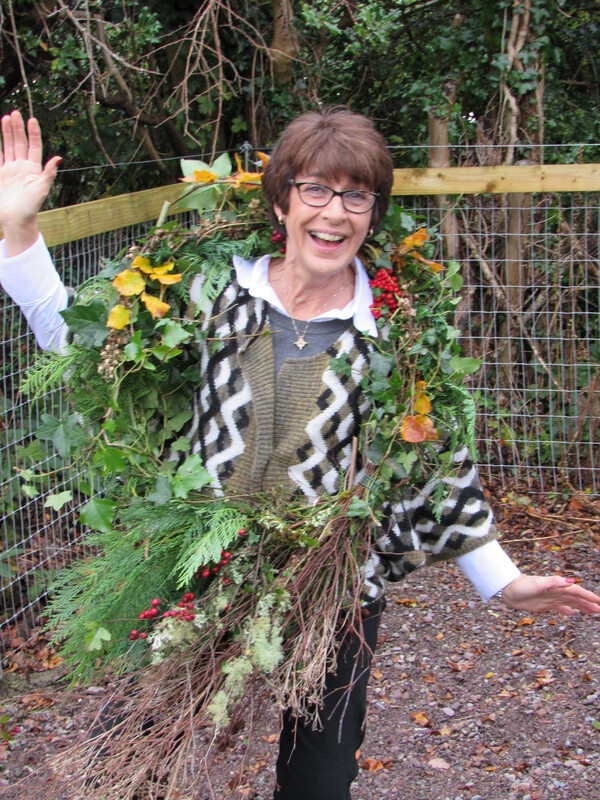 I love the landscape and the community that is felt in both places….Maine and Ireland. I love going to Ireland and feeling the acceptance of the people there, who are all so generous and welcoming. Jo Noonan, who I learn so much from. Cathy and Frank who invite me for dinner and share stories of their past. Charlie, of course, Charlie!, who one might like to tuck into their pocket to bring home….a long ride for my 91-year-old friend who has never stepped foot out of Ireland. I also love coming home to my tribe here, my friends and family, who really are the essence of home to me. So much happening in the world, lots to be concerned about, work ahead of us all, but today I will focus on cooking a meal, listening to loved ones, and being grateful. Happy Thanksgiving, all. Three more days and I’ll be out the door and back to my home ground. After a long and busy season at the nursery, it sure has been nice (and restorative) to step away from our very busy life and have such a different and delightful change of scenery. Travel is nice, but home is home, and there are still plenty of chores that await me. While here in Ireland, Sally and I do seem to cover a lot of ground without really ever venturing far from her roots in County Kerry. 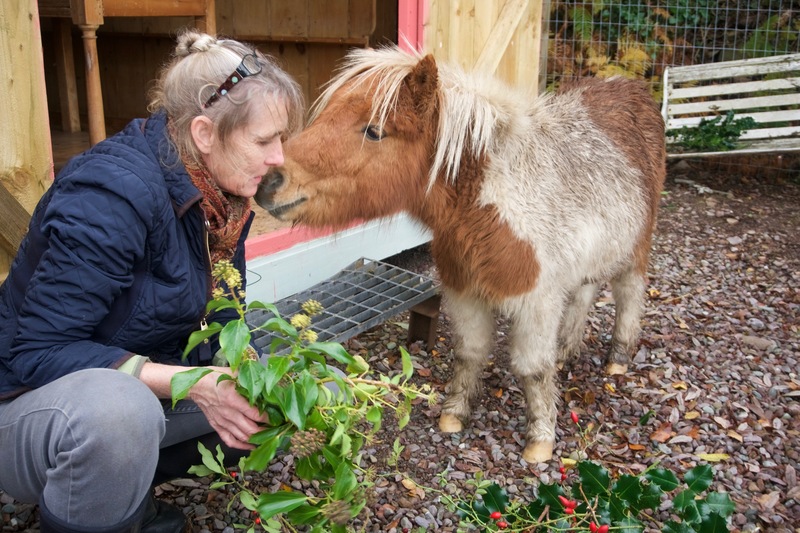 However, tomorrow we head up to Galway for the Christmas markets. Fun, fun, fun! I am looking forward to being in the city while they begin ‘dressing’ up for the Christmas holiday. There’s a bit more room in my suitcase for a nice little tree ornament or some hand-made gifts….we shall see! 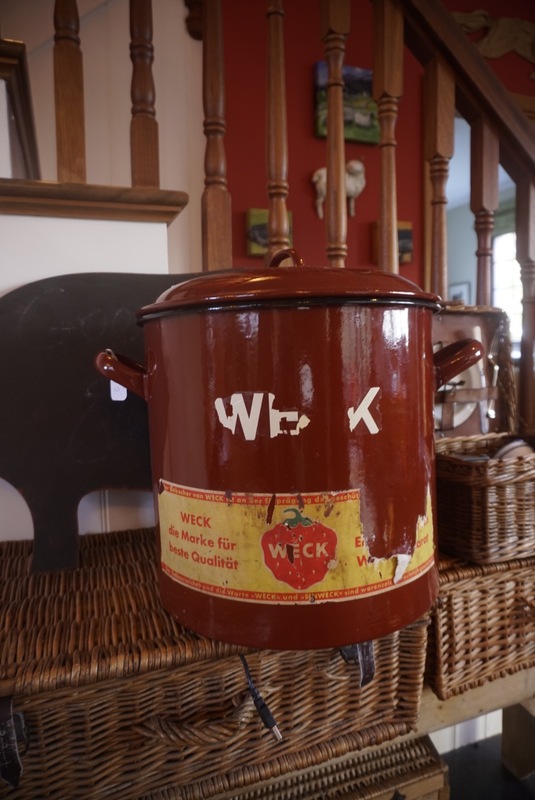 In the meantime, I am trying to find a creative way to package an old enamel canning pot for air travel….hmmm. Any ideas? 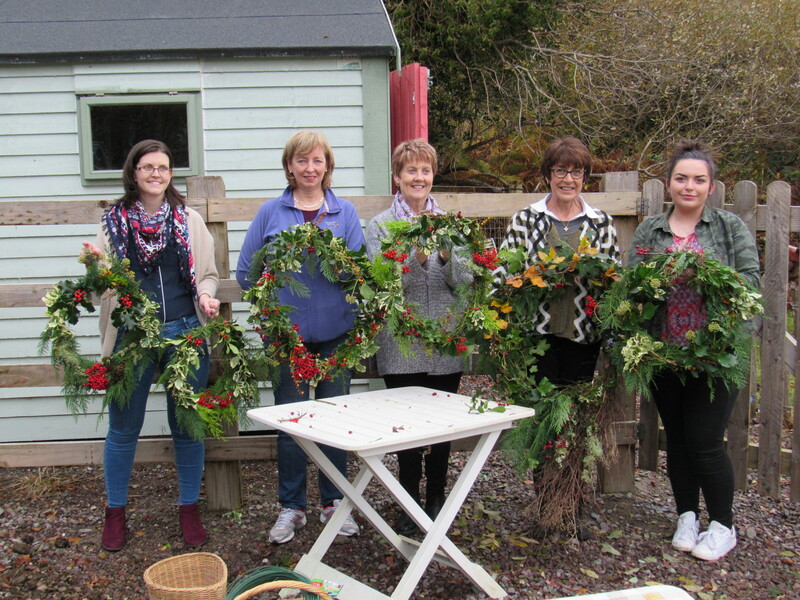 Sally and I offered a wreath making class to neighbors and friends here in Ireland. Great fun! It was held up the road in the donkey pasture. The donkeys and ponies seemed to enjoy having a little gathering in their field, they all stayed close by, getting regular pats from the wreath makers. 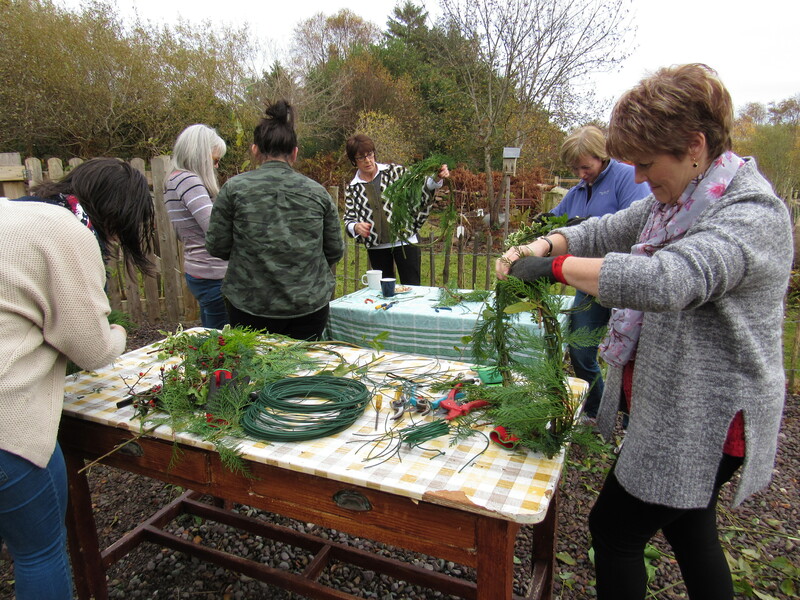 First thing this morning we were out foraging for material, then baking chocolate almond scones and preparing tea, and filling baskets with the necessary tools for wreath making….. wire, pliers, hand clippers, gloves. 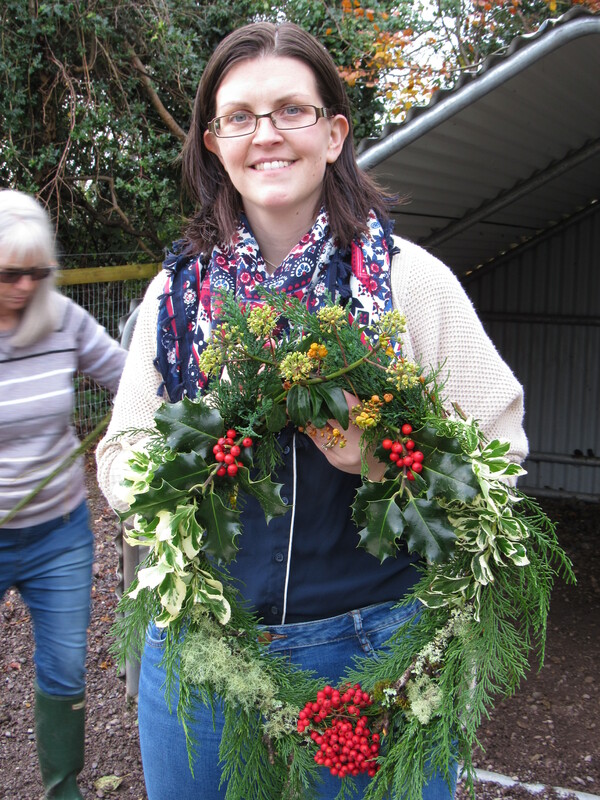 All the ladies that came did a fantastic job making their wreaths…. beautiful really, each and every one. 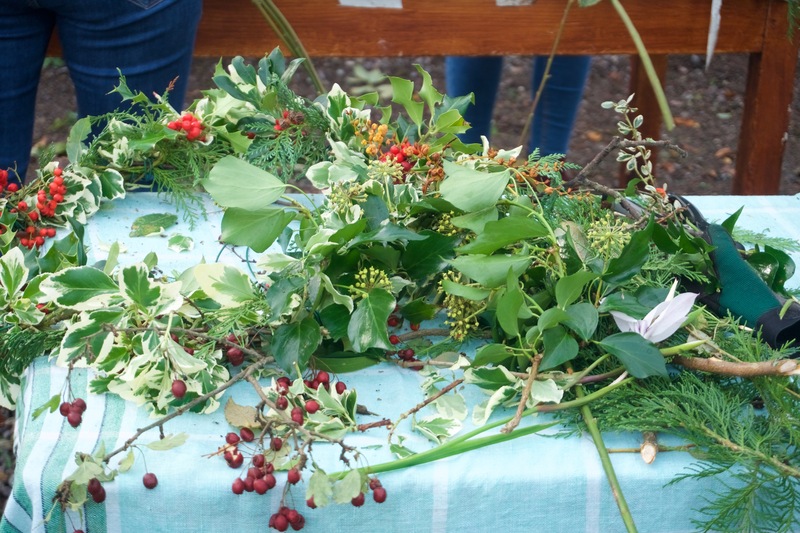 We started by making a frame with willow, then adding other foraged embellishments….holly, hawthorn, various evergreens, lichens, and berries. 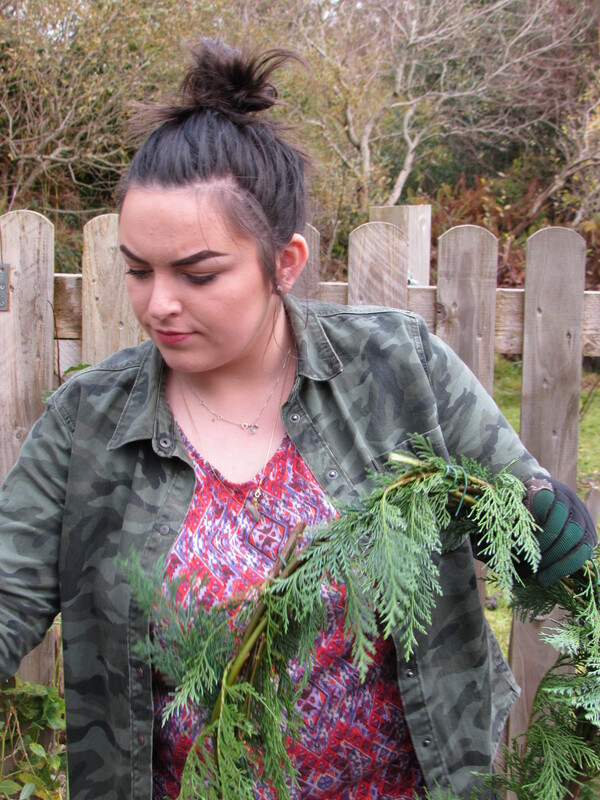 Almost any wild found material can add a little something to these home-made creations. 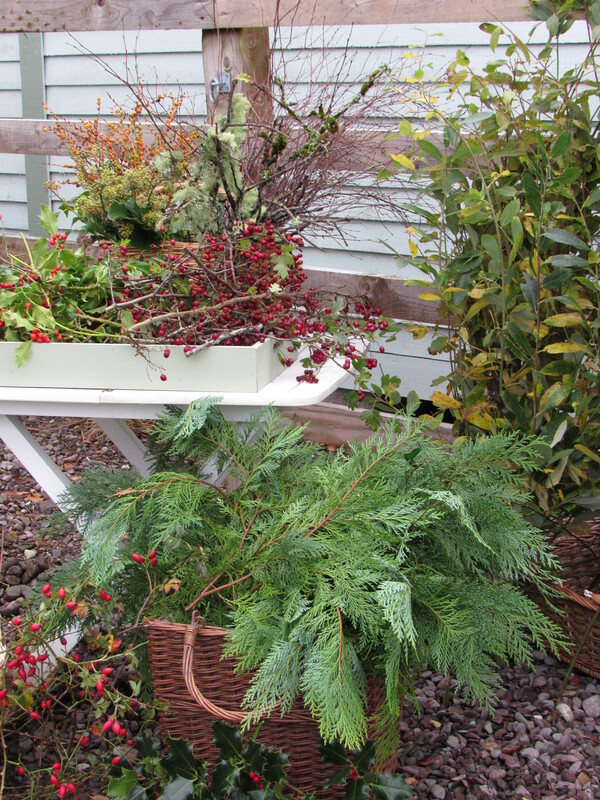 What a treat to have an abundance of greenery available. 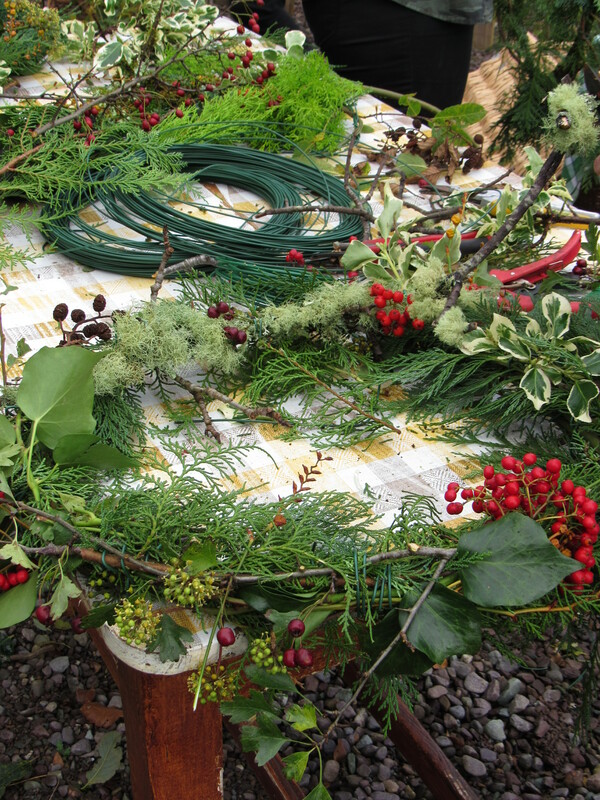 Back home in Maine many of the herbaceous plants have died back, leaving mostly coniferous plants for wreath making. 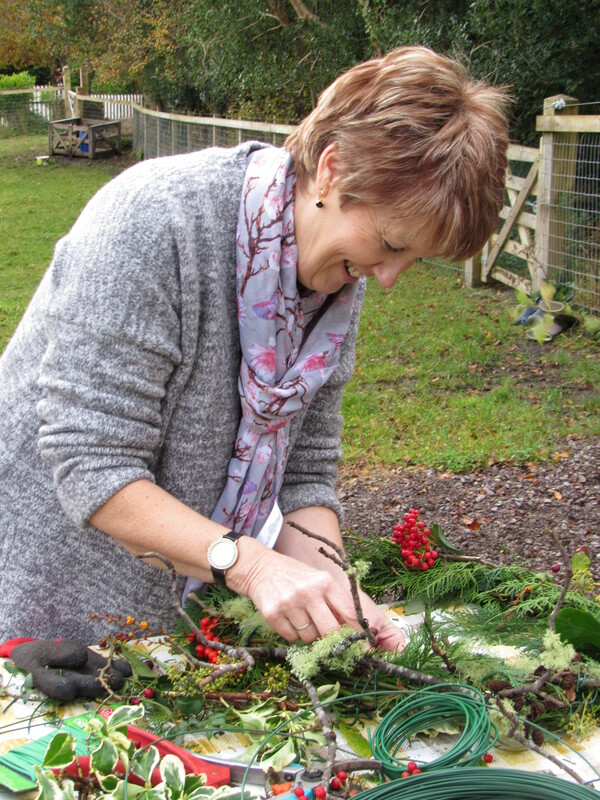 During our class, each person used their unique and thoughtful talent to assemble their very own stylish wreath. Check them out….. 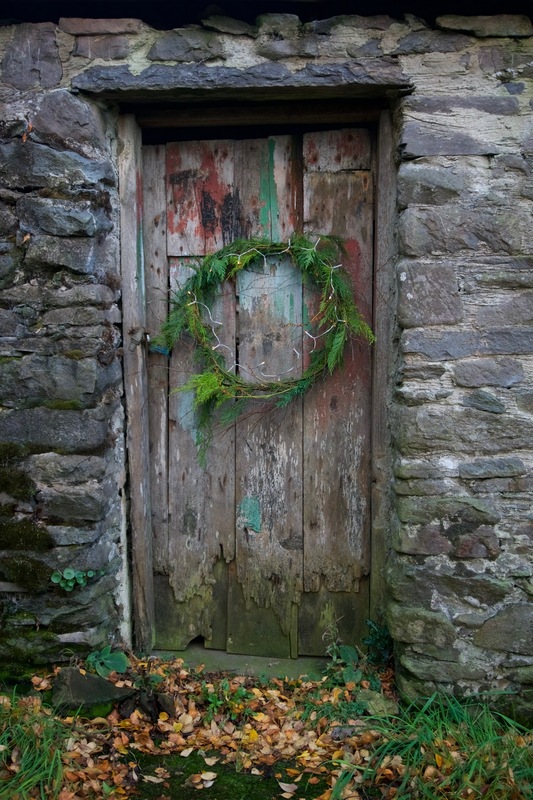 I do hope everyone went home to display them on their front doors …a picture perfect entryway, I’d say! A day of kicking around. 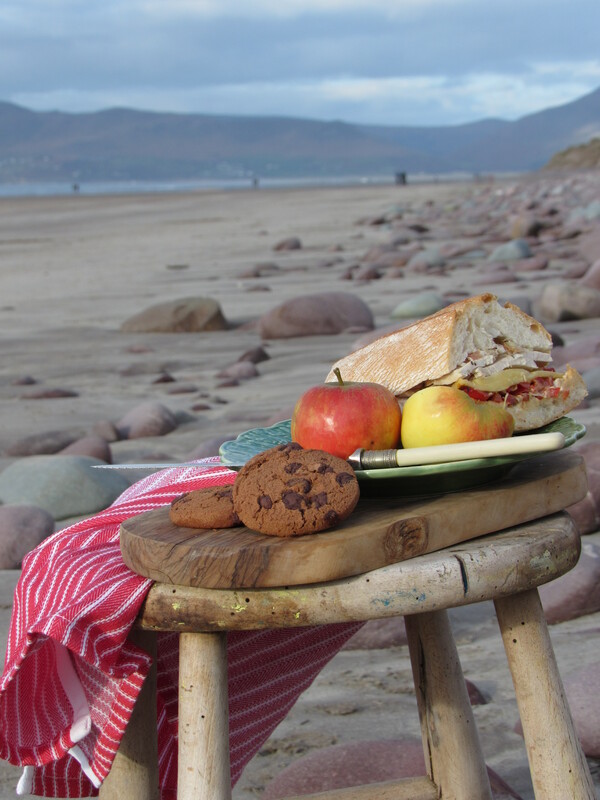 Tending to Sally’s donkeys, picking up some groceries in town, and a late afternoon picnic at Rossbeigh beach. Tonight we’ll go see our friend Charlie at the nursing home. 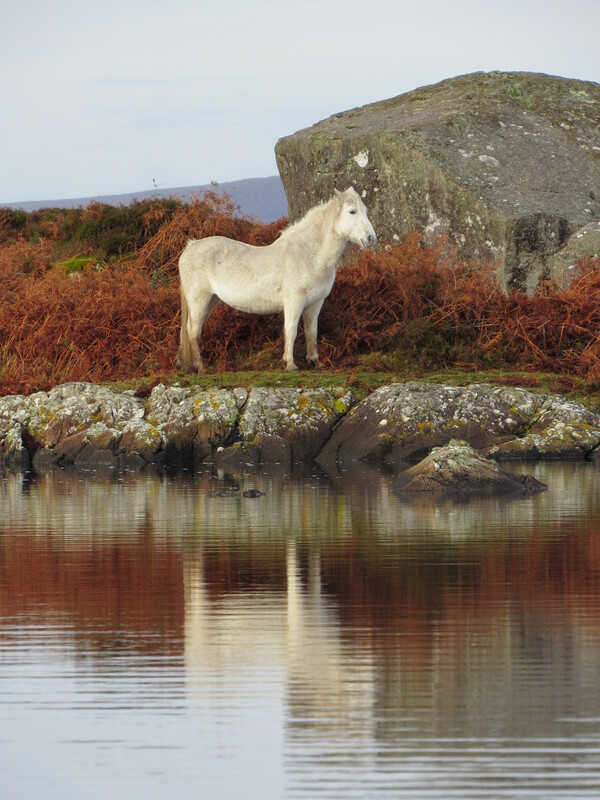 Charlie was featured in the book Sally wrote about the ‘horseman of County Kerry , called ‘A Fair Day’. Charlie’s stories and reflections on how life use to be in rural Ireland have been a delight to record. I think he likes sharing them. I know I love hearing them. Back home I am certain that our country is caught up in the whirlwind of this year’s election. I did cast my vote before leaving. I think it is safe to say that regardless of the box we may choose to check, this year has brought all of us a good measure of angst and uncertainty. Tomorrow we’ll know the outcome. For better or for worse. In response to this election, I have made up my mind to practice ( even more than I do), as much respect, honor, civilness, and goodwill as possible. Hoping that this pledge to be mindful, always, of these very important attributes, the ones I believe we were all taught at one time in our lives, will help steer us towards a more just and considerate future. That’s not too much to ask, is it? Today was bright and sunny here in Ireland. Stunning weather really. We waste no time covering ground once we touch down. 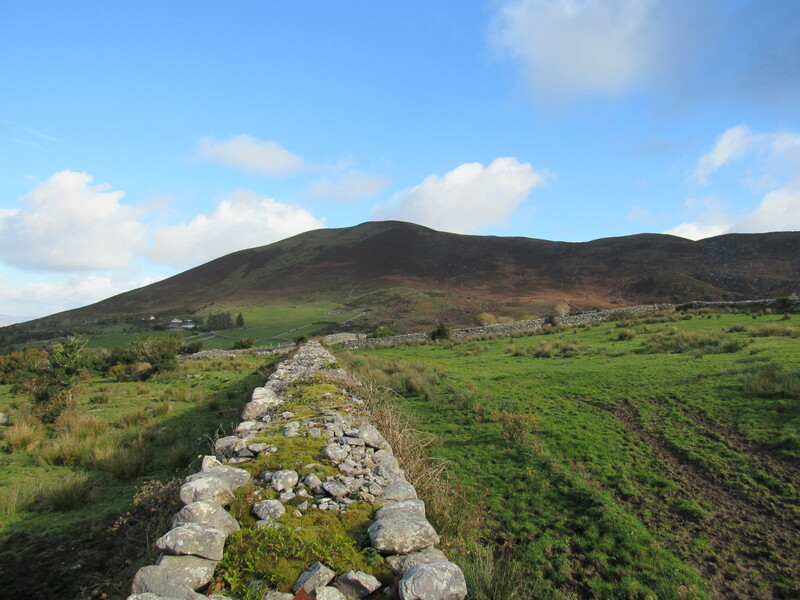 A long glorious walk among some of the most beautiful stone walls I’ve ever seen, a view that looks all the way to Rossbeigh and the Dingle peninsula, and fields of green grass that caused the sheep farmer in me to be quite envious. 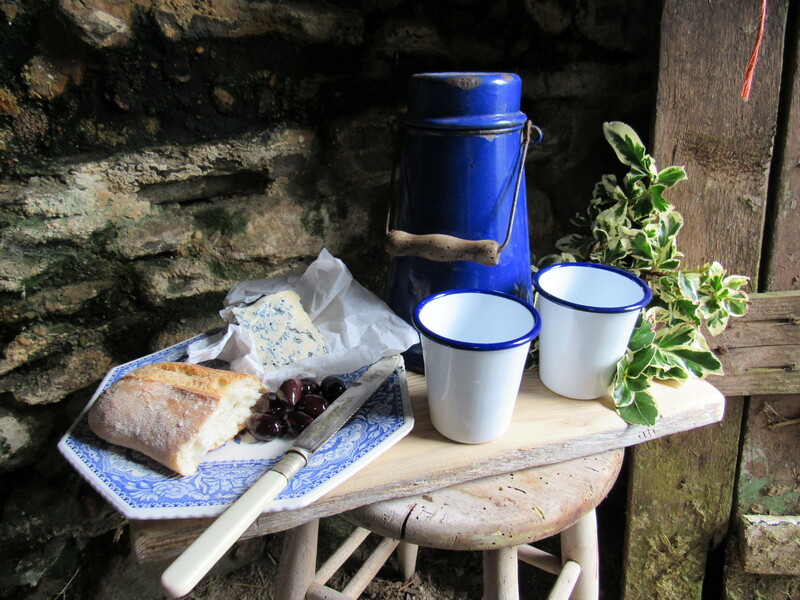 The walk was on an old farm in Glenbeigh, and as usual, we had a light lunch packed…..local cheese, a fresh loaf of ciabatta bread, and some Greek olives. No need for fancy tables or a long menu to choose from, an old wooden stool in a cow barn works just fine. A perfect day. I’m heading off to Ireland again. While there, I’ll keep you posted on our travels and adventures. I’ll take pictures. I’ll do some writing. Then….I’ll come home and hunker down for the good long winter months. By the way, that little gal in the picture is Dottie. Remember her? The lamb who had a puncture wound on her foot when she was just a wee little thing? 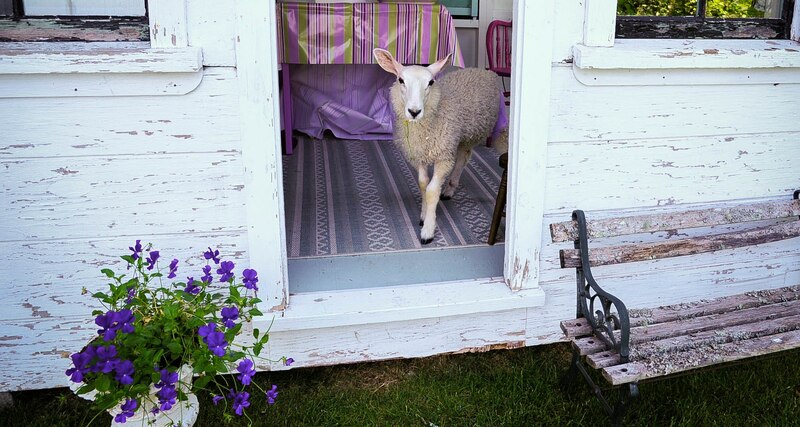 She’s all better and quite the gal….only needing just a bit of a reminder from time to time that she is, in fact, a sheep.